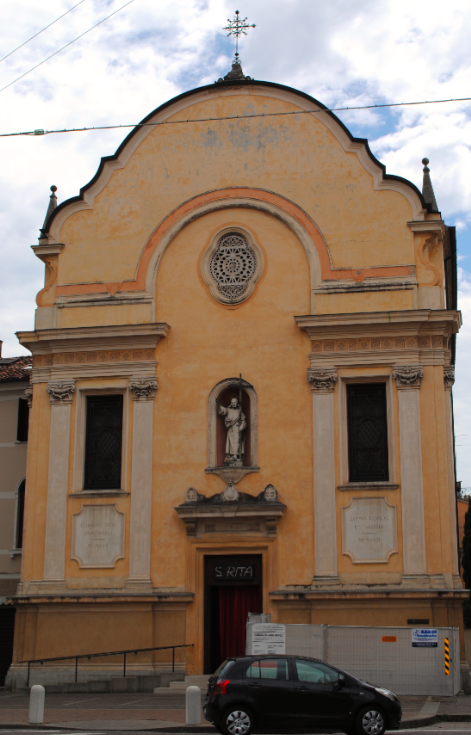 Located on Piazza San Leonardo is Chiesa di San Leonardo – the Church of St Leonard. Dating back to the 14th century, the original church took its name from the hospital of the same name. The present church is the result of a reconstruction in 1657 with later alterations. 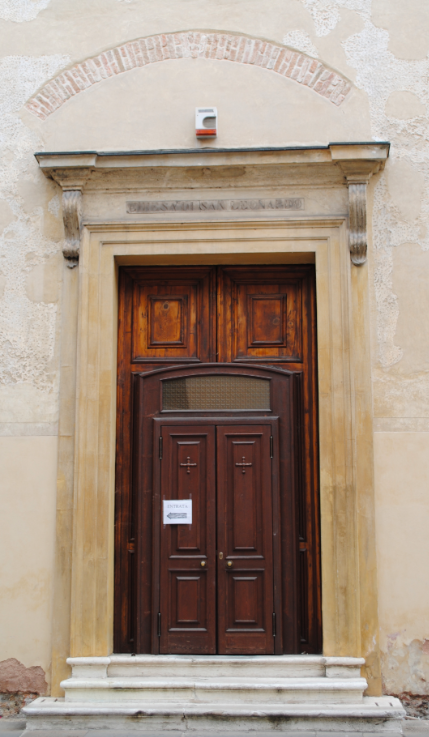 The main facade (above) is the work of architect Luigi Candiani which was carried out in the 1930’s. The facade features tripartite corinthian pilasters on plinths with a decorative frieze, a rose window above the entrance and pinnacled roof. 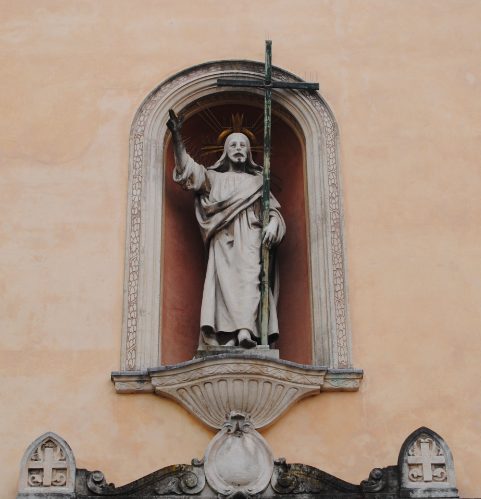 A sculpture holding a cross (above) sits in a niche above the pedimented doorway. 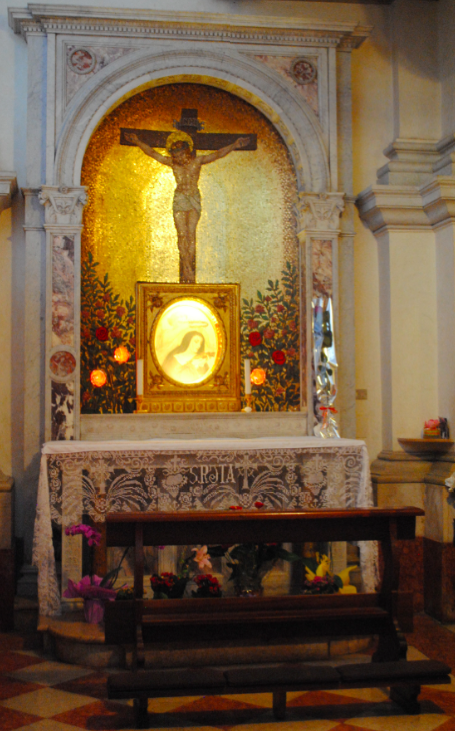 A side altar with an image of the crucifixion sits within a richly decorated stone surround. The side entrance of the building reveals a bricked arch above the pedimented doorway providing traces of a former opening.